The Nintendo 2DS’s inability to project 3D images inherently extends its battery life a little. You’ll likely get somewhere between 3.5 and 6.5 hours of gameplay out of your Nintendo 2DS before you have to plug it in for a recharge. You can keep playing your Nintendo 2DS while it’s charging, though doing so extends its charging time. If you leave your Nintendo 2DS alone while it’s recharging, the process should be done in about two or three hours. There are a few things you can do to get the most out of your Nintendo 2DS battery. Adjust your screen’s brightness to suit the lighting around you. 2 is a good level if you’re playing in the dark, whereas 4 might be necessary if you’re in bright sunlight. You can also turn off your 2DS’s Wi-Fi functionality to save some juice (this needs to be done through the 2DS’s brightness settings menu since there’s no physical switch to toggle on the system). Turning down the 2DS’s volume helps extend battery life, too. 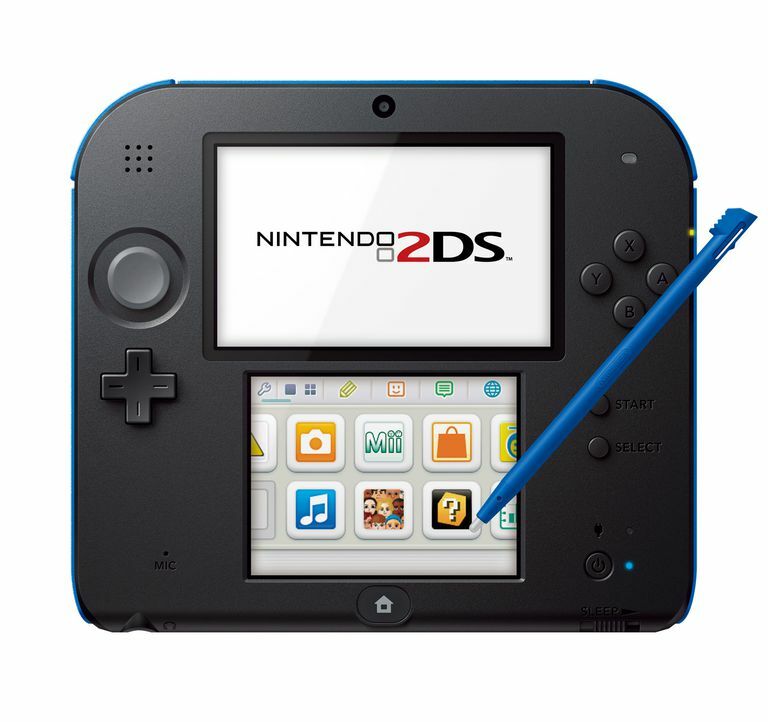 Unlike the Nintendo 3DS, the Nintendo 2DS doesn’t come with a charging cradle. You need to plug the AC adaptor into the back of the system to recharge. The 2DS comes with an AC adapter, but any Nintendo 3DS AC adapter will work.